Hi, friends! 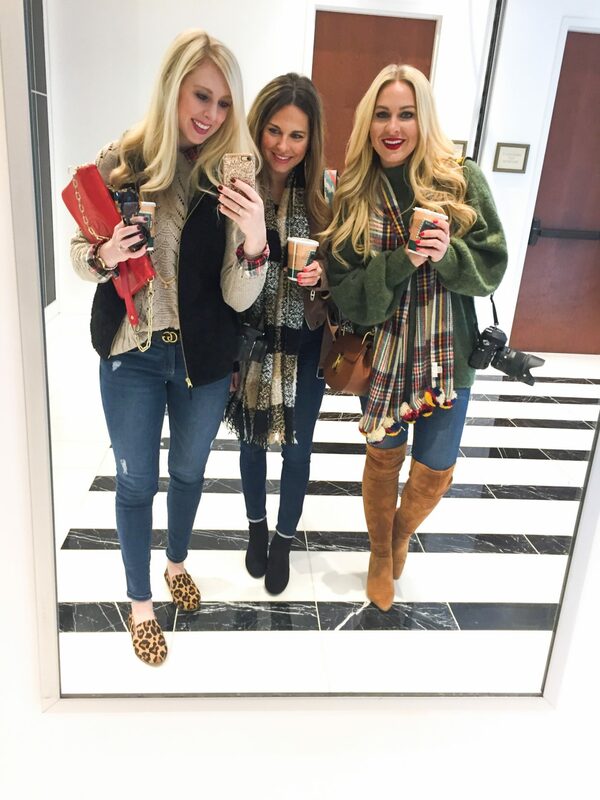 I recently had the BEST weekend with my blogger besties Cortney & Sara. 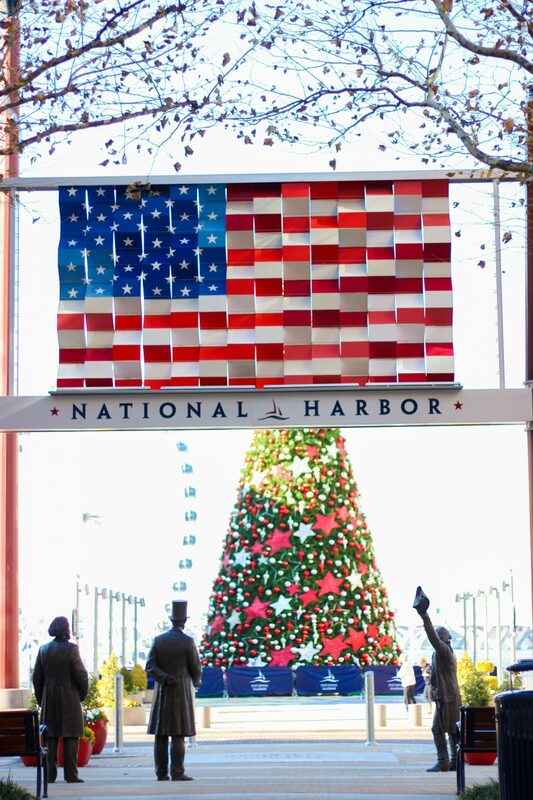 We kicked off the holiday season with a trip to the National Harbor located near Washington, D.C. It was so much fun & we found tons of things to do! If you live in the D.C. area or ever travel here around Christmas, this is the place to be. It’s perfect for a romantic weekend trip with your husband but also super family friendly if you want to bring the kids along too! Since everything is in one small area, you can just valet the car & not need it again until you’re leaving. OR, if you’re flying into D.C., choose the Reagan airport as it’s just a few miles [& an easy Uber ride!] away! I have so many must-do’s to share that I’m putting everything into these categories below: See, Savor, Stay & Shop! 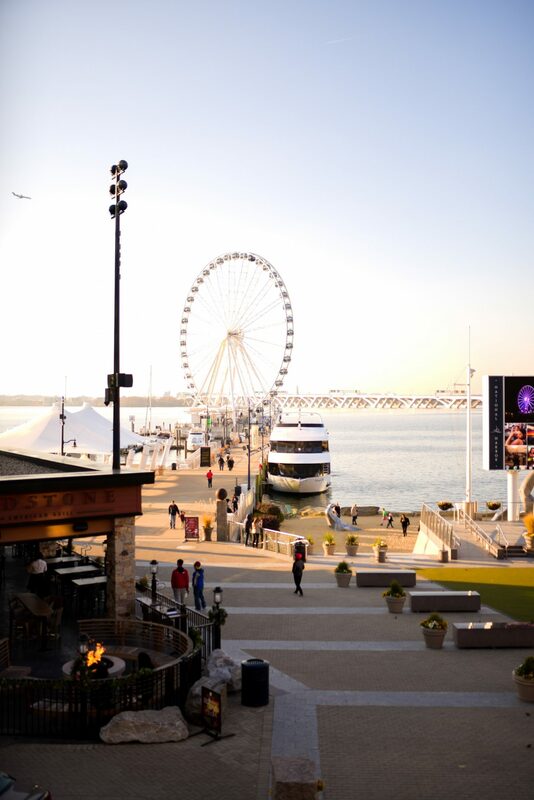 When you first pull into the National Harbor area, you’ll see just how breathtaking & pretty it is! 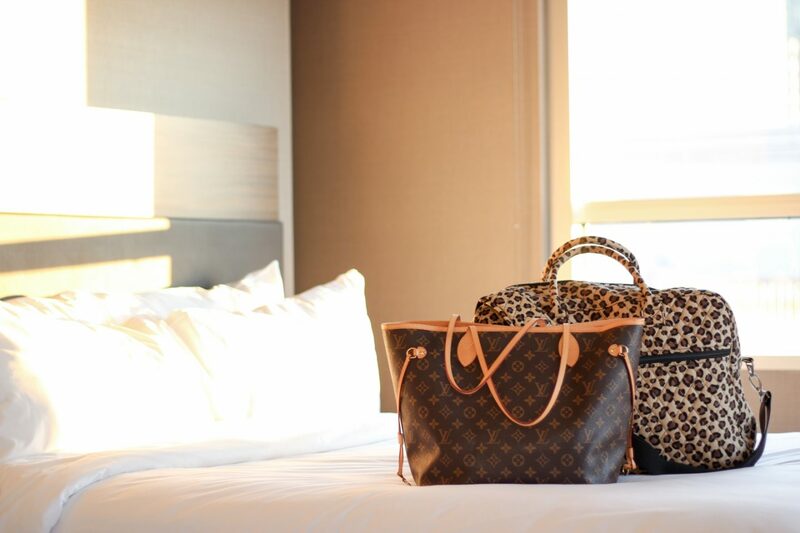 Nestled right along the Potomac River, the water views + downtown D.C. views are beautiful! 1. Capital Wheel: Oh my goodness! Probably the highlight of the entire weekend for me! The gondolas are enclosed & even heated- perfect for cold days. You can also bring snacks and drinks with you too! The Capital Wheel sits right on the water & from the top, you can see all of D.C. We went at night after dinner and the lights were incredible! I’m sure the day view is just as good. This is a MUST! ICE! Featuring Rudolph the Red Nosed Reindeer: 2 MILLION pounds of ice in a display kept at NINE [9!!] degrees!! If that doesn’t sound exciting, I don’t know what does! An ice sculpting team is flown in from China to carve all of the ice & y’all… It’s insane! They even have ice slides! While you are provided with an oversized parka, you’ll definitely want to prep yourself for the cold. It’s no joke! I highly recommend wearing boots, bring gloves & a hat! It’s so cold some of our phones froze up while we were inside. But it’s so worth it because it’s one of the most amazing things I’ve ever experienced! 3. Christmas Village: Inside the Gaylord National Hotel, you can totally dive into the Christmas spirit with a visit to Santa, ice skating, Gingerbread Decorating, holiday Build-A-Bear workshop & hot chocolate. Sara, Cortney & I grabbed some of the hot chocolate [delish!] to warm up after our ICE! adventure. It was so fun to watch all of the little kids experiencing the magic of Christmas! 4. JOY- A Holiday Spectacular Show: Located in the atrium of the Gaylord, this show is stunning! They sang all of my favorite Christmas songs & the performance was incredible. I don’t know how many times we looked at each other in awe of the costumes, the performers voices & just how great the show was! To guarantee yourself a seat near the stage, you’ll definitely want to buy tickets. However, you will still be able to hear & see some of the show from different places around the atrium if you’re unable to get tickets! 5. Gaylord Tree Lighting: The entire atrium of the hotel lights up to festive music! Not only does the Christmas tree light up but the water fountains also sky rocket to 60 feet & SNOW falls! It’s so pretty! 6. MGM National Harbor: We could have spent a whole day exploring the MGM. With tons of restaurants, shops and obviously the casino- there’s tons to keep you busy. With upcoming performances by Bruno Mars & Cher- you’ll definitely want to check out everything they have going on! 1. Grace’s Mandarin: Hands down the best food we had the entire weekend!! I highly recommend the Tempura Sampler as an appetizer & I don’t think you can go wrong with any of the sushi options. Sara & Cortney both loved this place the most too! Not only was the food impeccable, but the service couldn’t have been any better. And– the restaurant is stunning inside! This is a must, must, must!! 2. Old Hickory Steakhouse: This is a great restaurant located inside the Gaylord Hotel. It was super convenient for us after we watched the JOY show & tree lighting. The steak was so good! 3. Rosa Mexicano: We popped in here for a lunch & it was perfect! The best part is the views! Ask for a booth next to the windows as it sits right on the water looking out towards the Capital Wheel! 4. Public House: We headed here late one night to share some appetizers! It turns out they bring in a DJ and it becomes one big party after 10pm! 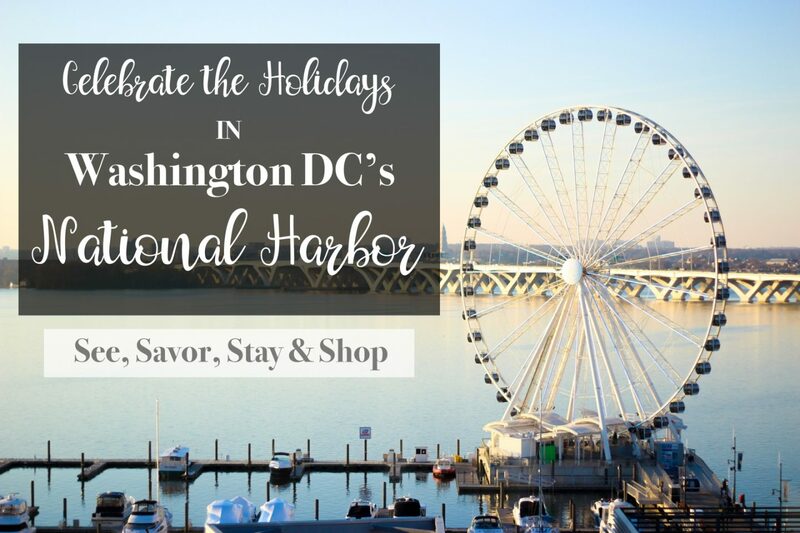 AC Hotel National Harbor: This is where we stayed & where YOU need to stay! 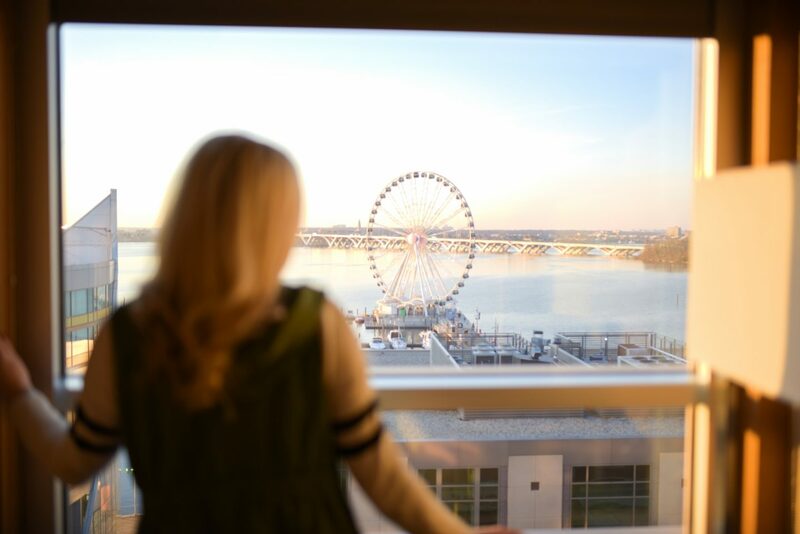 It’s right on the waterfront and our room provided a beautiful view of the river and the Capital Wheel! [see photo below!] It was centrally located within the National Harbor which allowed us to easily walk to shops & restaurants. It has a super modern vibe & our room was incredible! 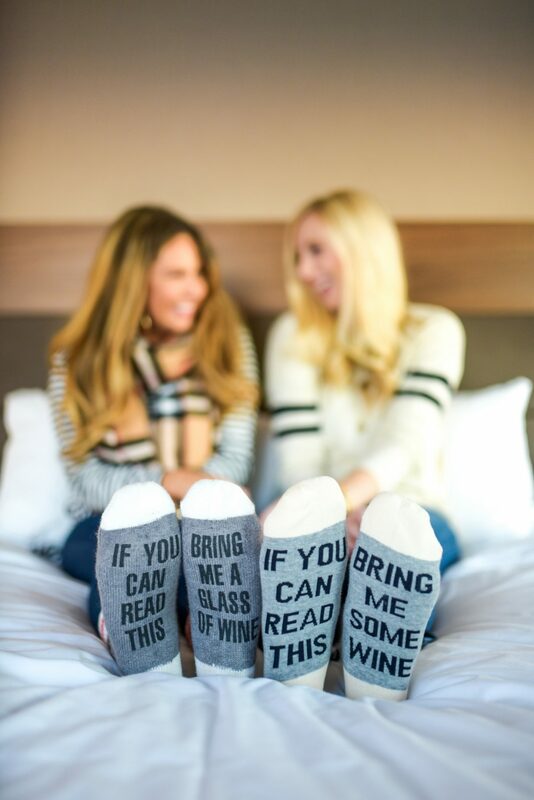 They have fast wi-fi [a blogger necessity! ], a workout center, a rooftop area & valet. The staff was all super friendly & made our stay perfect. There’s even a Starbucks across the street 😉 My favorite part of AC Hotel is their European continental breakfast! It made it easy to grab a quick, delish breakfast before heading out for the day! I honestly can’t recommend this hotel enough if you’re staying in D.C. It’s also an easy drive to other tourist attractions around the city if you’re exploring more! 2. 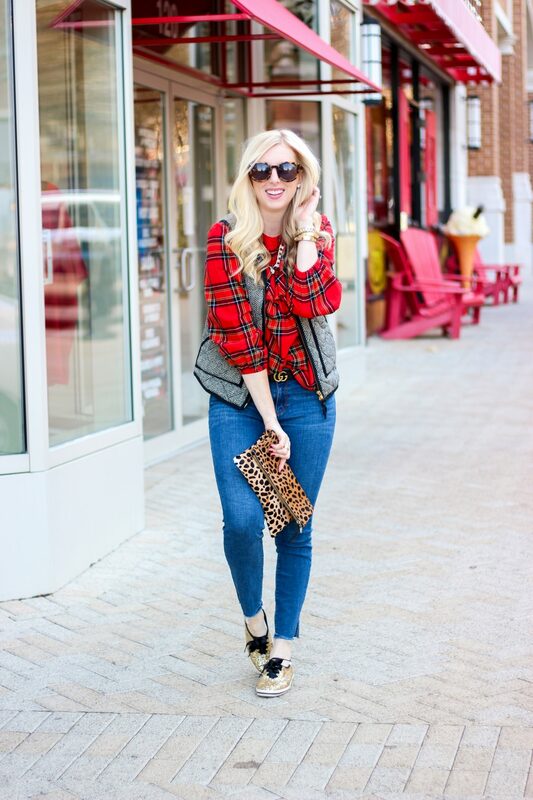 Boutiques and Shops– Directly around the AC Hotel were tons of cute places to shop! You can see a full listing here. 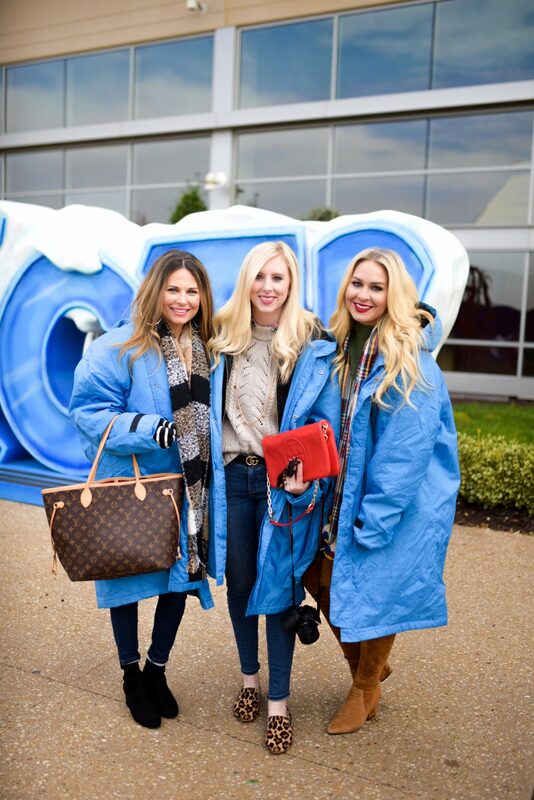 blogger friends, city guide, national harbor, travel, travel guide, Washington D.C.